You can find more about the details regarding requirements in the MSP Portal http://www.student-partners.com/ Click on the Apply Now button to the right. Then select the country to where you belong and you can view the details there. Also this time around, there is a handbook for the people who are applying, which can be found here, which contains further instructions on what the applicants should do to get selected. The last date for registering is August 15th, i.e; this Sunday. So there is not much time left. Its a wonderful opportunity for you and don’t miss it! All the Best to those who are applying! Ever wondered what you need to do to get an Internship?? There is a wonderful opportunity for you online! There is this program from Microsoft called Students to Business, which gives students with a huge opportunity for the students to get internships or jobs across many companies. You can put up your profile, which can be viewed by the companies participating in the S2B program. As I write this, there are about 9462 registered users and 227 registered Employers(Companies), with 81 active projects and 169 open positions. That is a pretty good number for a site which started just within a year(At least in India). You can land up with internship/job either by applying for positions or particular projects open in the companies or, the Employer may approach you, by viewing your profile & it matches their requirements. 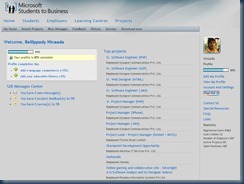 You can add various skill sets to your profile like C#, .Net Framework, Silverlight, etc. Since this program is a Microsoft Initiative, It mostly has technologies related to MS. But you can always add other skills also. Depending on your skill sets and profile, the site will show some of the openings/projects in various companies. You can also search for projects depending on your skills and other criteria. Visual Studio 2010 has been released recently and I downloaded the iso image of the Ultimate edition DVD from my MSDN account. Eager to try it, I Installed it by removing the Release Candidate of the same, which I had installed earlier. The RC was removed without any issues whatsoever. 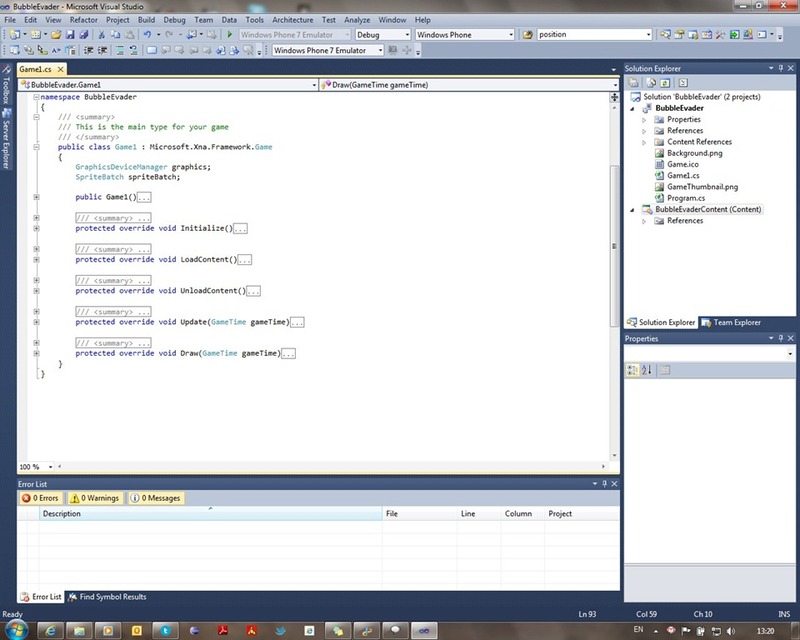 But after installing VS 2010, strangely, Visual Studio 2008 Pro started showing weird problems. 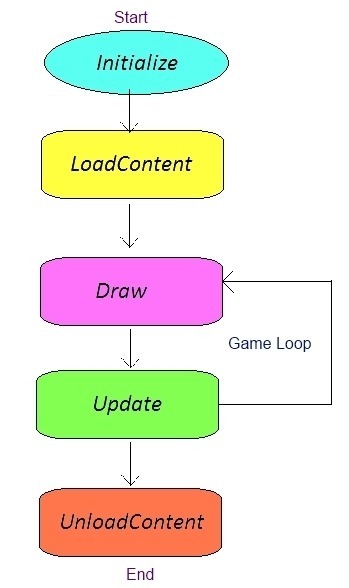 At first, the designer view for ASP.Net project stopped working, it would just stop responding. I could not click anywhere in the window & had to close the IDE using the Task Manager. 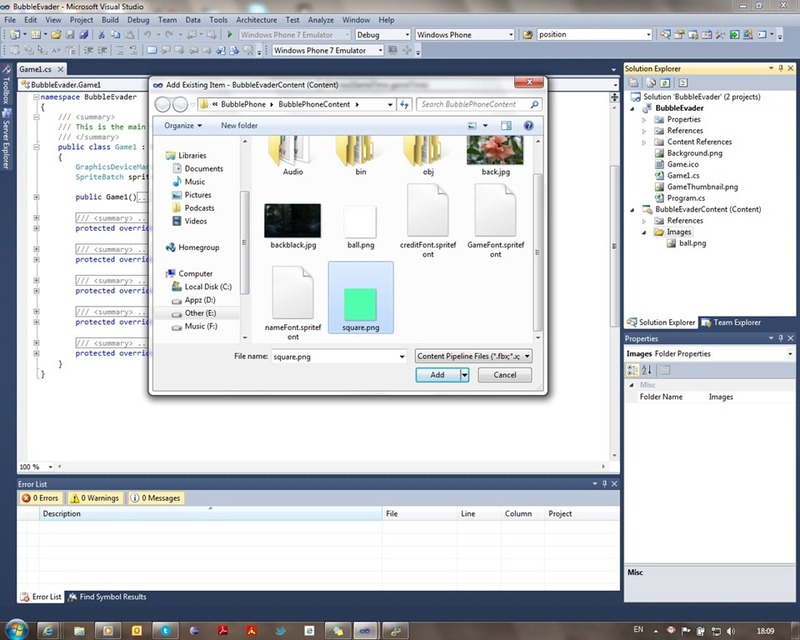 Since I was not much into ASP.Net, and design view was working fine in VS 2010. This error was due to the fact that some .dll file required for rendering was replaced by VS 2010 installer with a newer version of the same dll & which was not compatible with VS 2008. Since it was fine in VS 2010, I did not bother much about it. But situation started worsening after a few days. 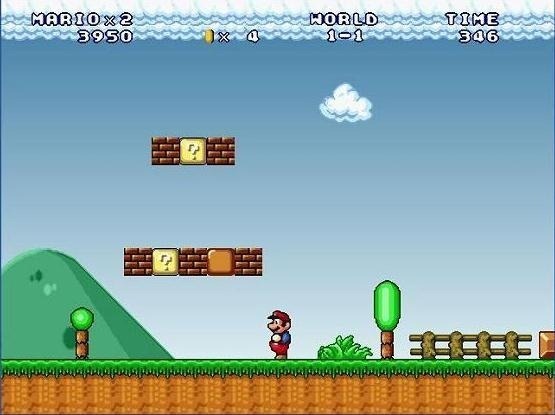 I had installed XNA Game studio which is an add-on to VS 2008 to create games in C#. VS 2008 not only stopped opening/creating the XNA projects, but also started to fail to open any C# project! I searched over the Internet to see whether anybody else had encountered the same problem. I did not get any such cases, and hence I decided to re-install both VS 2008 & VS 2010. I first removed VS 2010 and started removing the other components it had installed with it. I could remove almost all of them except for one or two. I had to remove the remaining components using the MS Installer Cleanup Utility which is available for download here. It appeared that I had successfully removed VS 2010. Then I re-installed VS 2008 which went well without any issue. Then came the bigger problem. I tried Installing VS 2010 back again, which used to fail repeatedly. It was trying to install VC++ 10.0 Runtime without any success. 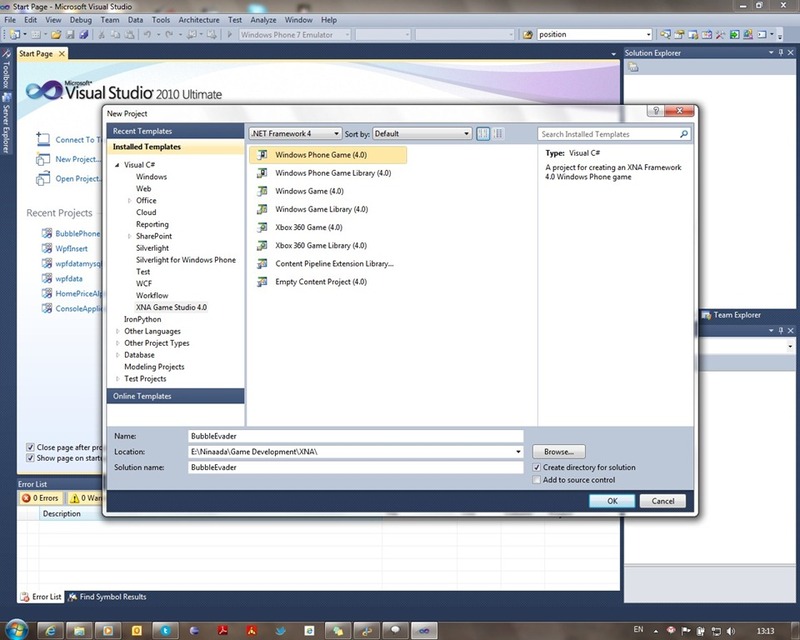 VC++ Runtime is a prerequisite for installing VS 2010. I tried installing it separately by downloading from the MS website, which would actually install, but would not be detected as installed by VS 2010 Installer, which tried to install it again & would fail. Then I looked into the installation log of VS 2010 which was in my “Temp” folder located in C:\Users\Username\AppData\Local\Temp\ . There, I found that the installer was returning error code 1603, which meant “fatal error during installation”. I digged further and I got error code 1402, which meant that a particular Registry Key was not accessible to the installer. The error message in the log file read something like Error 1402.Could not open key: UNKNOWN\Components6A0D925C8932A8379FE28AFAF97A860\B45568A682984E035AC37D33679831D4. Verify that you have sufficient access to that key, or contact your support personnel. So, I came to know that the installer has some problems accessing a particular key in the registry. I searched in the net & got a link on how to solve such type of registry inaccessible problems. As you can see, that particular Registry key had been “Orphaned”. What happened here was that when VS 2010 was uninstalled, the uninstaller instead of removing those registry keys, had actually, Orphaned them. In the sense, that those Keys don’t belong to any particular user, & hence when the setup tries to create the key, it encounters another key with the same name & cannot modify the existing one since it doesn’t have any owner, rendering it inaccessible to any user/process. As indicated in this earlier link, I changed the permissions for that key & thought Installation would be successful this time. But, this time, another key problem came up! Again I changed the permissions. Again a problem! After doing this exercise for many times, I got fed-up & used a software called Registry Mechanic to clean the registry. 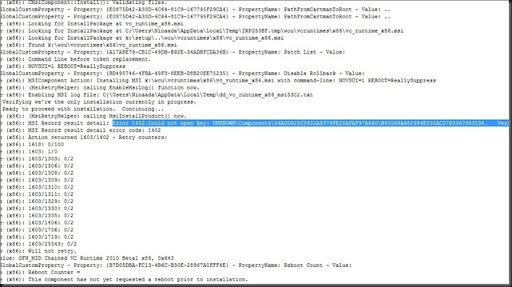 It found 1000+ issues in the registry, of which most of them where this orphan registry keys. It removed all of them & finally, I could Install VS 2010! 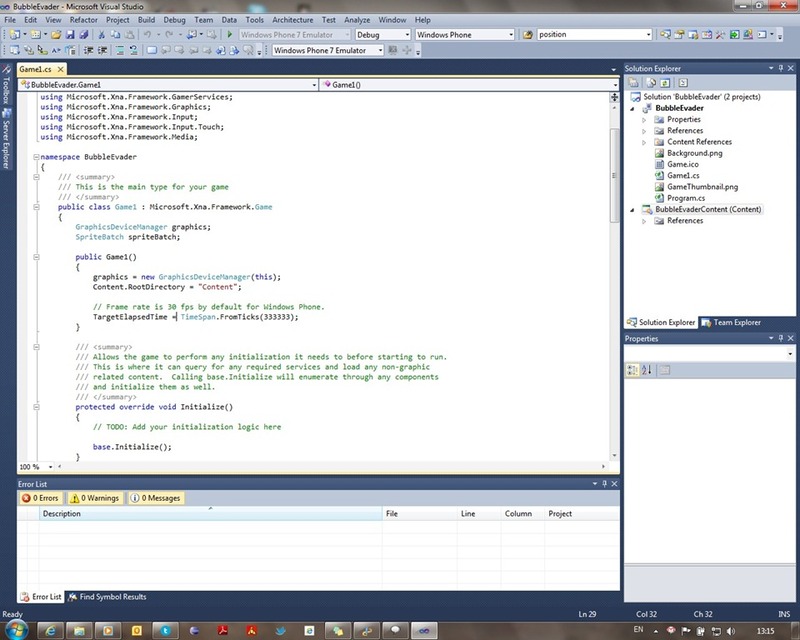 And as of now, XNA projects are successfully opening in VS 2008, but the design view issue still persists, which is enough for me as of now. Its been almost a year since I updated this blog.Many things have happened since… I was selected as a MSP for my college & many more stuffs. DreamSpark Yatra is a day long event conducted for the students, organized by Microsoft Student Partners & Bangalore .Net Students User Group(BDNS) for that region. The Students had a good opportunity to learn about the new cutting edge technologies from Microsoft. 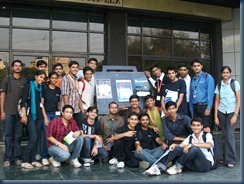 The DS Yatra at Bangalore was conducted on 27th March 2010 at PES Institute of technology (Popularly known as PESIT). There were Speakers from Microsoft and even some of the MSPs gave sessions on the new technologies like Sharepoint & MS Office 2010, Visual Studio 2010 Pre-Launch event,Photosynth – a technology which converts a bunch of 2D photos to 3D,Cloud Computing & Windows Azure, the Cloud computing platform from Microsoft, Various Academic Initiatives from MS like Dreamspark, Imagine Cup, Students 2 Business, etc. We got a very good response of around 700+ attendees. 60 Students came from colleges in Dharwad! 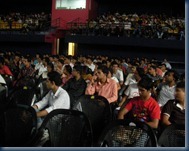 The PESIT auditorium became full. In case you missed to attend this very useful event, you can attend the Yatra at Nitte, Mangalore on April 5th. Click here for details. It is a really good event & make the most of it by attending! Here are some photos from the event at Bangalore. Click on them to view them in a larger size. The following are the pictures of the crowd. 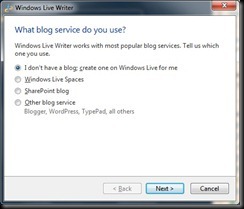 Windows Live Writer – Blogging Simplified! So, here is my 1st post for this blog. Long back, when I had installed Windows 7 afresh, wanted to download Live Messenger. 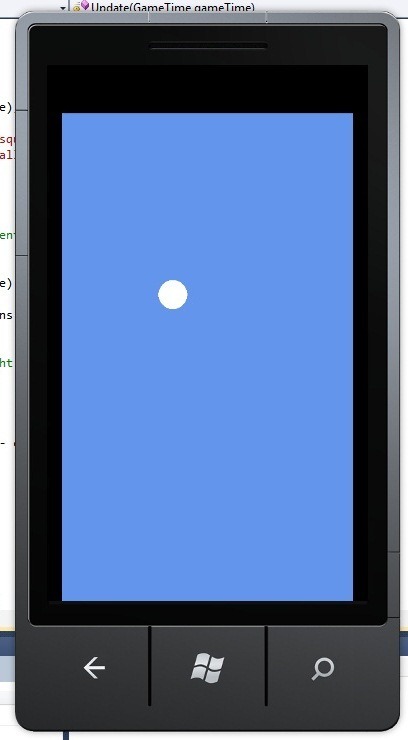 MS has included it in its “Live Essentials” package. I had no better job to do, so selected all the available options to install. After almost 4-5 months, just a few days back, while deleting unwanted programs, just came across Live Writer in the list. I knew that it was a blogging tool, but hadn’t bothered to check it. Out of curiosity, just launched it to see how it was, & I was really surprised to see such a nice & useful tool for blogging. So, I will now show you how to blog using Live Writer. I’m using Blogger, so selected the last option. Depending upon your blogging service, select the appropriate option. 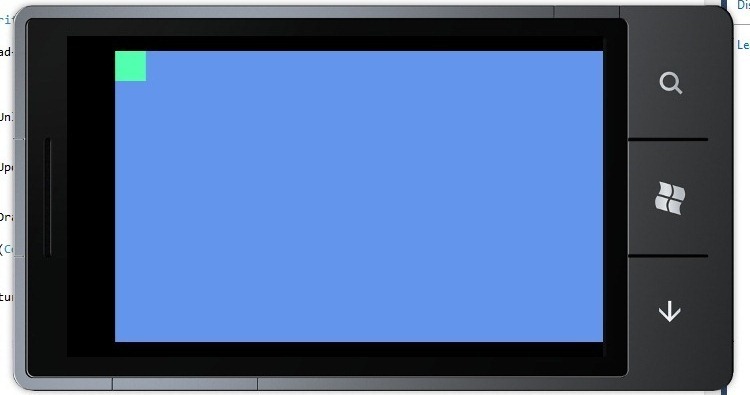 After setting up your account, the Writer displays a blank page, according to the theme set in your blog. So, you can start blogging right away now. 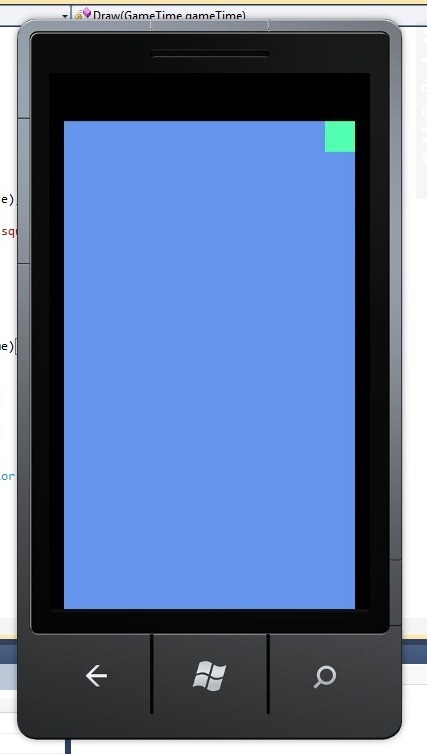 You can insert various Hyperlinks, insert pictures, videos, table, maps, etc. You can find all these options in the sidebar to the right. 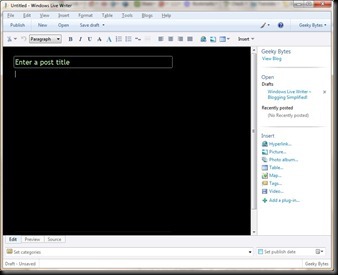 You can also add plug-in to Writer for extending Writer’s functionality. One of the features that I loved in Writer is that you can save the draft offline and later when online, you can publish the same to your blog. You can also preview your blog as to how it’ll look & also view the html source of the content, tag your blog according to some categories. If you have more than one blog, you can also add multiple blog accounts to post to different blogs at a time, or to a particular one. Sidebar also displays the saved drafts & recently posted items. You can also set a custom publish date. So, Have fun blogging using Writer guys! Below are a few screenshots of Writer. Click on them to view larger images.